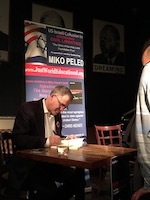 Miko Peled concludes his Just World Educational-organized speaking tour later this week (Thurs., 1 PM) at The Jerusalem Fund & Palestine Center in Washington D.C. 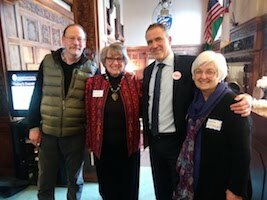 The tour stretched from Brooklyn to Seattle, highlighting the unjust convictions and draconian sentencing of five Palestinian-American men. The five, who became known as the Holy Land Foundation Five (HLF5), were prosecuted for their charity work with the Dallas-based Holy Land Foundation, which had been the largest Muslim charity in America before it was shuttered by the Bush administration in Dec. 2001. 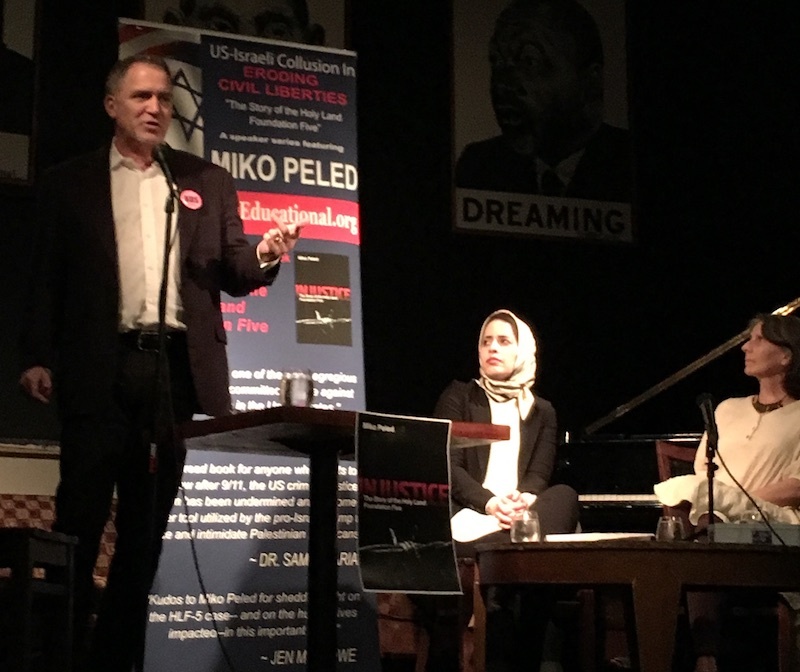 Through seven talks organized by JWE, Miko Peled has drawn attention to the plight of Ghassan Elashi, Shukri Abu-Baker, Mohammad El-Mezain, Mufid Abdulqader, and Abdulrahman Odeh, who each face decades in prison – in many cases effectively life sentences – for their charitable work with internationally respected aid organizations in Palestine. Peled has just published a book (Just World Books, 2018) on their story. 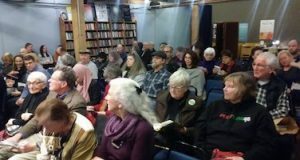 Peled’s tour, which also featured appearances with Noor Elashi (daughter of Ghassan) and Leila Al-Arian, reached hundreds of in-person audience members at talks in Seattle and Olympia, WA, Clifton, NJ, Brooklyn, NY, and multiple events in the nation’s capital. Cosponsors of the events included the Center for Constitutional Rights, CodePink, Defending Rights & Dissent, the Institute for Policy Studies, the National Coalition To Protect Civil Freedoms, and the National Lawyers Guild DC Chapter. The speaking tour events have focused attention on the courtroom irregularities (including the use of anonymous Israeli government witnesses, in violation of the Sixth Amendment) during the multiple trials of the HLF5, and the eventual convictions of the HLF5 on the highly dubious premise that aid to charities in Palestine constituted indirect material support to Hamas. The tour is the third major speaker tour organized by Just World Educational in the past year. In the Spring of 2017, JWE organized an ambitious multi-state tour featuring the Palestinian editorial cartoonist Mohammad Sabaaneh, and in the Fall, a second tour, featuring the Algerian independence fighter and retired parliamentarian Zohra Drif.